Immigration, military spending, racial issues, Putin, terrorism, elections. While issues and events have always been part of our lives, perhaps never before have they been as pervasive as they are in this era of immediate and ubiquitous global access. We often look at these issues through the lens of how they affect us here, in our own United States. 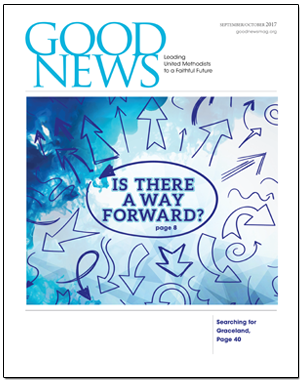 But how do current issues impact the work of global mission? We sometimes avoid discussing these topics because they are “too political.” However, it behooves us to understand the impact, regardless of where one may land on the legitimacy of a particular political viewpoint. This was made very real to me a few years ago when visiting a ministry partner in Israel. He spoke of the controversy surrounding unflattering drawings of Mohammed published by a Danish newspaper. “When the Danish journalists touted freedom of the press by drawing pictures of Mohammed, we were the ones to have our church buildings burned down,” he said. The global press can pick up things that really are insignificant and should be ignored, but instead amplify them. In the process, things that happen in the United States can affect the work of missions and even workers themselves. If a fringe church group burns a Koran in Florida, it can be picked up and broadcast on the other side of the world, causing a backlash against local Christians and missionaries and feeding a narrative of hatred and disrespect. That narrative makes it more difficult to build the kind of relationships that can lead to gospel discussions. Most people understandably see global events through the lens of their own experience and worldview. Yet this fact can actually complicate things when considering evangelical missions coming from the United States. Americans serving in other cultures have the opportunity to see those same events through a different set of lenses. They often find that the experience of living in a very different culture sheds new light on the situation. Issues take on nuances that can be difficult to understand for their friends and support partners “back home.” While that tension has always been part and parcel of missions, it is perhaps more intense now than ever. One of the best examples is that of refugees. Many Christian mission workers serve in areas where they are close to the intense suffering of people who are caught in various refugee crises. These workers see families fleeing for their lives, having lost everything, often including family members. When that experience meets with some of the blanket anti-immigration rhetoric – and sometimes even echoed within churches – it creates a disconnect and deep frustration. One of our TMS Global workers, who has served among refugees fleeing from Syria and North Africa, has dealt with the trauma of being close to human suffering that most of us cannot even imagine. He has also had to deal with being called a traitor, a thug, a terrorist supporter, and a fake Christian from people in his home country, due to his advocacy. In such a way, a polarized political environment can even affect how we connect with our missionaries. An even more politically sensitive issue is what is perceived as blanket support of American evangelical Christians for the modern nation of Israel. One of our workers in the region spoke of the havoc and far-flung ramifications of the recent decision to move the embassy. She shared how the move has negatively affected the gospel work in the region in ways most American Christians are completely unaware. Let me hasten to state that I do not bring this up to advocate for, or to question, the decision. But it is important that we understand the impact on global mission and on our workers. Palestinian Christians – brothers and sisters in Christ – experienced the brunt of the decision, and often feel that the American church does not even acknowledge that they exist, much less that they are part of the body of Christ. More could be said, but suffice it to say that a decision that seems so simple, obvious, and positive to some has far-reaching effects that well may serve to inhibit the gospel work in the region and even around the world. The point here is not to suggest a positive or a negative view toward the nation of Israel. In fact, the either/or duality of that statement is part of the problem. The point is that ramifications of decisions made are often much broader and unexpected than we may be led to believe. 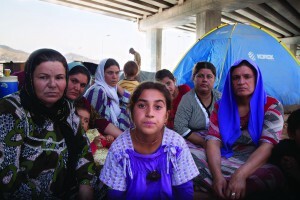 Yazidi families lived under freeway bridges in cities such as Dohuk, Iraq. Jeff Gardner, Picture Christians Project, www.picturechristians.org. Another current trend impacting missions is the increase in nationalism across the globe. Populist leaders are being elected in many nations, often running on platforms of fear of the foreigner and advocating cultural and/or religious “purity.” In countries where Christianity is a minority religion, that often has translated to increased restrictions and persecution for local believers and limits on foreign missionary access. In countries where Christians are a majority, it has sometimes resulted in Christians being perceived as enabling and endorsing repressive actions against others, thus contradicting the gospel message and making it seem less accessible to those people we would want to reach with the gospel. 1. When you hear something on the news, start with prayer – not for the Lord to protect you or your nation, but for the Lord to help you know how to respond and to be faithful to his Word and his love. 2. As you reflect upon current events, seek input from someone who has direct experience – perhaps a missionary or a person who comes from the region. Question narratives that have been handed down as “truths.” They may only be assumptions based on a partial picture. 3. Seek ways to engage with people whose origins are from another culture. In most parts of America, one does not have to go far to find communities of recent immigrants. Offer hospitality, have fellowship, and develop friendships. Then learn how they perceive global events that might add nuance to what you have always assumed. When we respond to current events in fear and defensiveness, it is very unlikely that we will at the same time testify to the love of Christ and the sovereignty of God. However, when we remember that God is in control, that he can demonstrate his redemptive grace, and that he uses the likes of us to be that demonstration, it can change our whole perspective. 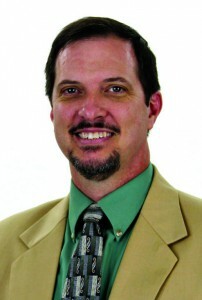 Jim Ramsay is the vice president for global operations at TMS Global – www.TMS-Global.org.